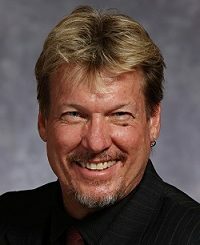 Tim D. Wilcox has been an Investment Advisor and Securities Analyst with Sonora Investment Management since 2003 and a Partner in the firm since 2007. He started his career as a Financial Consultant with Shearson Lehman Brothers in Oklahoma City in 1993. 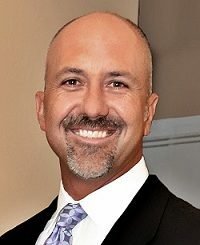 In 1996, he joined Charles Schwab & Co. Inc. in Tucson as a Financial Consultant and became a Senior Branch Manager before becoming part of the Sonora team. Mr. Wilcox received his Bachelor of Science Degree from Oklahoma State University in 1993. He lives in Oro Valley with his wife and has two children. He enjoys golfing, working out, hiking, and is an avid sports fan. Renee Abbett has 18 years’ experience in mortgage lending and real estate. At Trinity Mortgage she was responsible for daily operations and training of loan officers. In 2006, Renee became a realtor and is currently licensed in Arizona and Hawaii. Renee is proud of her designations in Real Estate as a Military Relocation Professional (MRP), Leading RE Sales Specialist (LSS), and Leading RE Service Expert (LSE). Renee truly loves working with people in helping them realize one of the biggest dreams of their lives. Giving back to the community is dear to Renee’s heart. She served as a Commissioner on the Affordable Housing Commission (Town of Marana) for six years and was twice president of the Marana, AZ. Host Lions Club (part of Lions Club International). During her presidency the Marana Lion’s raised funds to provide over 90,000 meals to the community. Jenniffer Jarvis is a project manager with over 16 years of combined experience in business management and administration. She has an Associates Degree in Business Management and is currently finishing her Bachelor of Science in Business at the University of Phoenix as well as working on a Certified Nonprofit Professional (CNP) Credential through the Nonprofit Leadership Alliance and ASU Lodestar Center for Philanthropy & Nonprofit Innovation. Jenniffer also works in a consulting capacity for small businesses, providing website management, design and development, marketing, social media management, material editing and design, and executive assistant services. 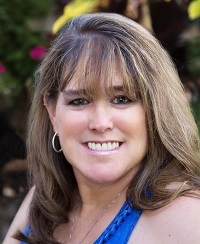 Jenniffer is a long-term Arizona native and resides in Phoenix with her husband and children. She and her family are very active in the special needs community.